This is the last giveaway before Independence releases, folks. So, I'm going to make it good. And receive an ARC of Independence, the last book in the series. Here's how to enter the giveaway. and then either tweet or Facebook your favorite sweet or yummy quote from the books and tag me in it. 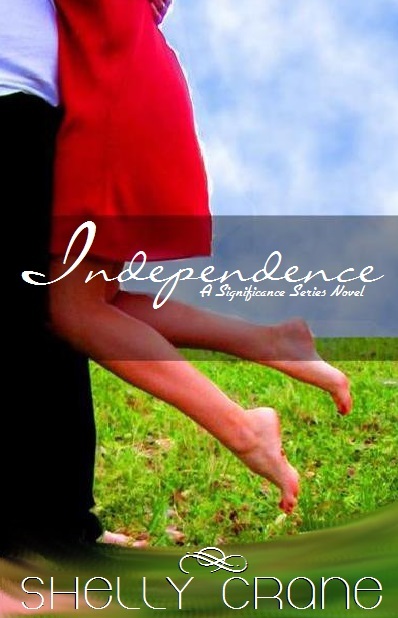 you can make the cover for Independence above your profile pic on FB or Twitter. I'll pick one winner on Sunday, December the 16th. Only one entry\quote post per person per day. I'm happy and sad the book is almost done and ready for you to have. It'll be so very bittersweet for me to finish the series. Hi Sweetie.. here is my tweet.. Damn i don't live in the U.S... i can't enter! Crossing my fingers! Thanks for the awesome giveaway! Crossing my fingers that my luck changes and I finally win something, and this would be the absolute best gift ever!!! Here is the links.....https://www.facebook.com/shellycranefanpage/posts/407447445992679 and.....https://twitter.com/danilove05/status/275478115680129025 and.....https://twitter.com/danilove05/status/275478199146799104. Thank you for this wonderful giveaway! Thanks for the nice stories and the give away! yeeeeeeeeeeeee cannot wait for the movie, btw!! An international giveaway!! This is so exciting! Thank you for making it an international giveaway! I have tweeted, shared and changed my profile pick! Thanks for the awesome giveaway, Shelly!!! What a great giveaway to mark the coming to an end of an awesome series! i hope you pick me:) ive followed this series since it first came out in january. its my all time favorite! Still got the profile picture up :) Super excited for independence!! I made the cover my background on Twitter!! "Only one entry\quote post per person per day." Does this mean we can enter every day??? Thank you so much for this giveaway! It's really amazing! Thank you for being so awesome!!! Love the new covers BTW! Can't wait to see the rest of them once they're all out!! Thank you for a chance to win this awesome giveaway!! I love this series! (As well as your other series!) Thanks for all the giveaways! Amazing giveaway! I am so excited!! I can't wait for Independence to come out!!! I love all your teasers. I'm so excited for Independence! I am SOO incredibly excited for this book! I tweeted it and changed my picture. ^_^ I'm sooo excited! I love going back through my favorite quotes!!! Ahhhhhhhhhhh these prizes are so coooooolll THANK YOU!!!!!!!!!! So excited for the book to come out! Just finished Accordance and I will start Defiance tonight, I can't wait!!! Thank you so much for giving us this opportunity ! DAY 3! This is so fun!!!!! P.S. Shelly, should I be putting my email everyday? Tweet #3!! This giveaway is seriously the best! Tweet #3, love the series, best giveaway ever!!!! YAY!!!! I can't wait till it is released! I have been waiting IMpatiently!!! 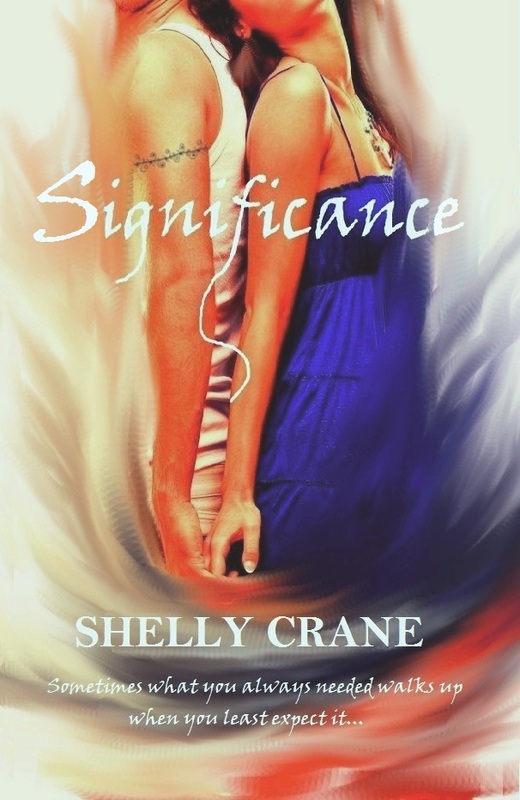 I changed my profile picture and posted a quote from Significance. I have already gotten some of my friends hooked on your books!! Love ya Girly! One of your biggest fans, you are who got me started on Indies reads and I haven't stopped yet! Still waiting to participate in one of your blog tours! It would be such a huge honor! Day 4! Sorry it's a little later than usual. This is really the SWEETEST quote in the book, since honey buns are my favorite dessert :) you'll see what I mean once you see it! Thank you for this opportunity! Sweet quote from Defiance tweet! Love the cover and can't wait for the book! Thanks for the giveaway. Significance is one of my favourite series and I'll miss it once I read Independence. Thank you for one of the greatest giveaways I've ever seen!! I chose this quote because the kid is so innocent yet so smart! I don't know how you came up with those words! And i love caleb and maggie's reaction to it. Definitely one of the sweetest and cutest quotes. And now here's quote #5! Day 5. I found this and IMMEDIATELY knew I had to post it. This is TOTALLY how I am feeling right now! Thanks for the opportunity Shelly! Tweet 6!!! :) I really liked this one! Awesome contest, love it . p.s I love your series, no ones read it at my school and I'm forcing everyone to read it, but we just can't find it in many of the Australian libraries or bookshops :(. Tweet of the day, courtesy of Accordance! This has to be one of my favoite quotes out of all three books so far. The moment that I read it in the book I immediately bookmarked that page. Thank you for the giveaway. I love this series. Hi I just want to say Im a huge fan of your series! I actually got my friend into it and she "borrowed" my kindle so she could read them. Tweet of the day from Reverence! Day 10 :) here's the quote! I was a bit confused about the Facebook thing, but here's my tweet. :) So lovely. I guess you can see my Twitter profile picture in the link.